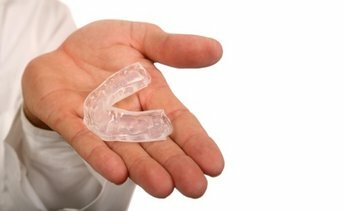 Nightguards are to be worn at night to help prevent the grinding and clenching of teeth. Clenching and grinding can cause wearing a way of enamel, cracked teeth, recession, pain and TemporoMandibular Joint Dysfunctions. Nightguards are custom-made to insure proper fit and function.